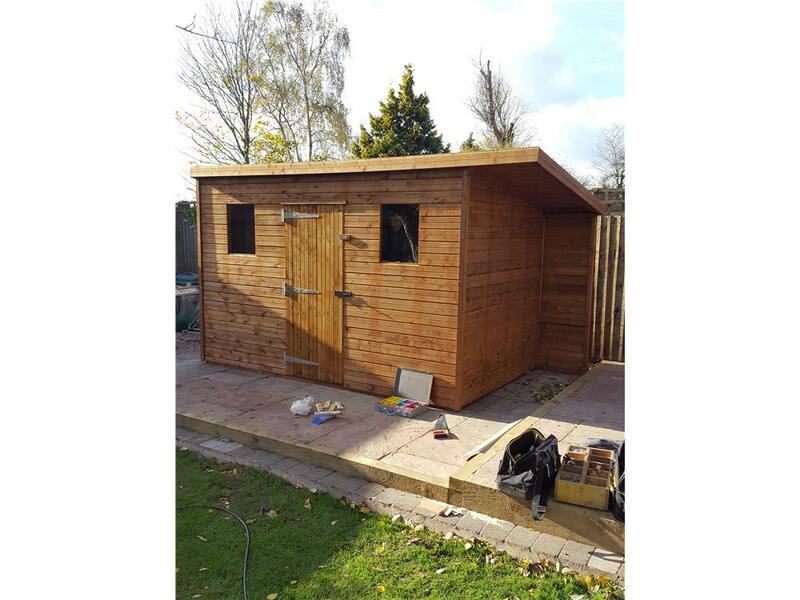 Our secure sheds are made as safe & solid as we are able to construct. The windows are shallower and the fittings are stronger than our standard garden shed range. These security sheds are more secure versions of the standard shed range. They have more of the 38mm x 50mm planed extra framework fitted to increase the strength. The smaller windows reduce the chance of unauthorised access to your goods! 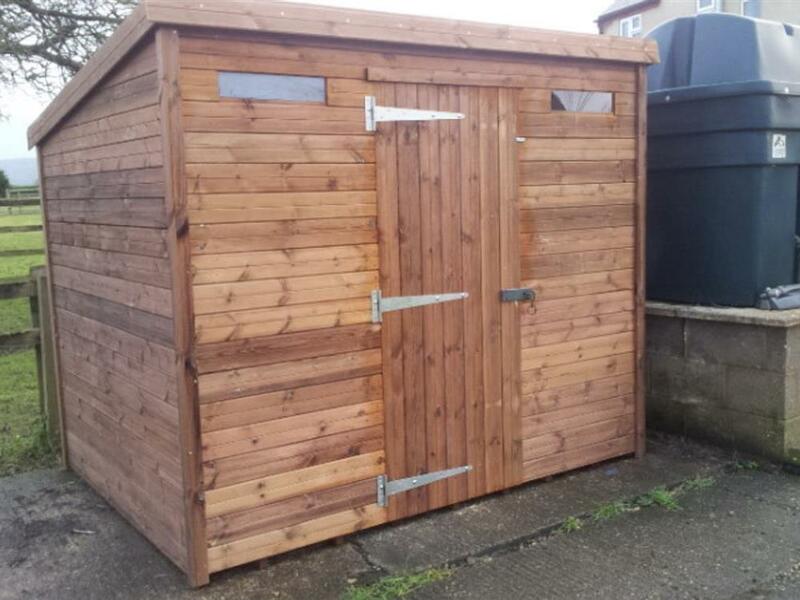 A bolted, heavy duty cast iron Hasp & Staple lock is used to add extra security to this range of sheds. 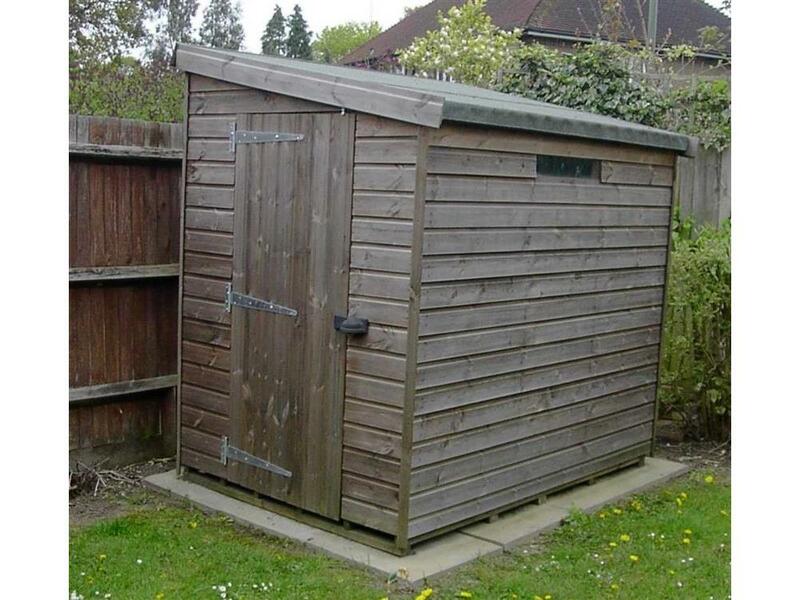 Don't forget, you can change any part of your shed, we've just started you off with the typical Security Shed set-up! The shed is sturdy and secure, but also low maintainence, everything we wanted. Our fault, should have ordered a bigger shed! Its great! We are happy with the product and the service. All staff friendly and helpful. Very good quality, solidly built and constructed, fits perfectly into the space. Great good quality shed build by professionals to last! Really helpful team that put up our shed - even though our base wasn't perfect they made it work for us. Really top quality shed, and was put up in a flash - thank you! Really good quality, feels like it's going to last, also quite attractive! Couldn't be more happy - good quality, great service - thank you! I wanted a shed that would be maintenance free and secure,from a firm that would deliver and erect it.After trawling the internet I kept coming back to the Beast sheds.The ordering process was simple and you could customize the shed to your own specifications.The team were prompt and efficient on delivery day.The shed is well made and stores all my stuff so i would be happy to recommend your sheds to anyone. i like the security features and the materials are of a high standard. 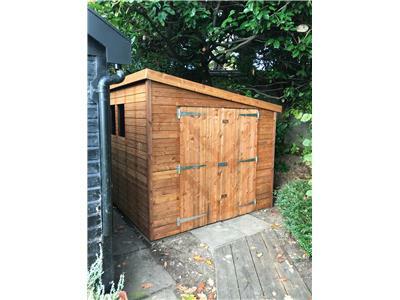 After lots of Internet research into buying a new shed to use as a bike store/workshop, I finally went with EasySheds. Really glad I did, top quality construction and the fellas who put it up did so with no fuss. Really well built, looks really good in the garden. Brilliant website, brilliant customer support, brilliant installation, and above all brilliant shed! Have had the shed for almost 3 years now, and it stands like new. After a lot of Googling and asking around I came across EasyShed. 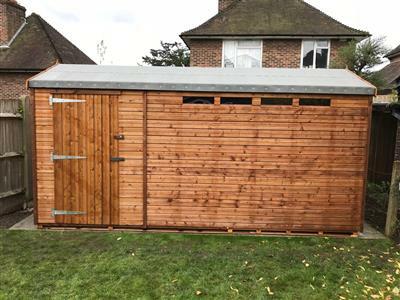 Expensive, yes, but the quality and the size of the shed, plus the no hassle delivery and installation were excellent. The materials used are great! Fixed in no time. 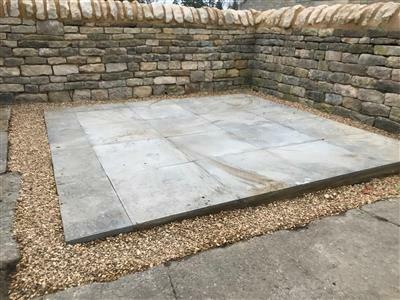 Just a great extra storage space for garden / DIY equipment but once building work is complete will be my own den area to escape the family, thank you for a great service! The strength and quality of the build! The latch, probably the only sub standard thing in the whole installation. Really very good / excellent! The shed is now in its third year and has withstood the wettest winter in years without any problems at all. Gales - it blows them back, and keeps its roof on. Hot sun - both the wood and felt are good quality and the hottest summer day doesn't make the shed sweat (or melt). This shed will probably outlive many houses being built today. A bargain at the price. I searched many sites and then I found Easy Shed, the shed I picked ticked all the boxes that I required. The shed arrived quickly and professionally erected by 2 polite men that worked quickly, and made sure my requirements were fully met. The men removed all packaging and rubbish and took it with them, all in all VERY satisfactory. 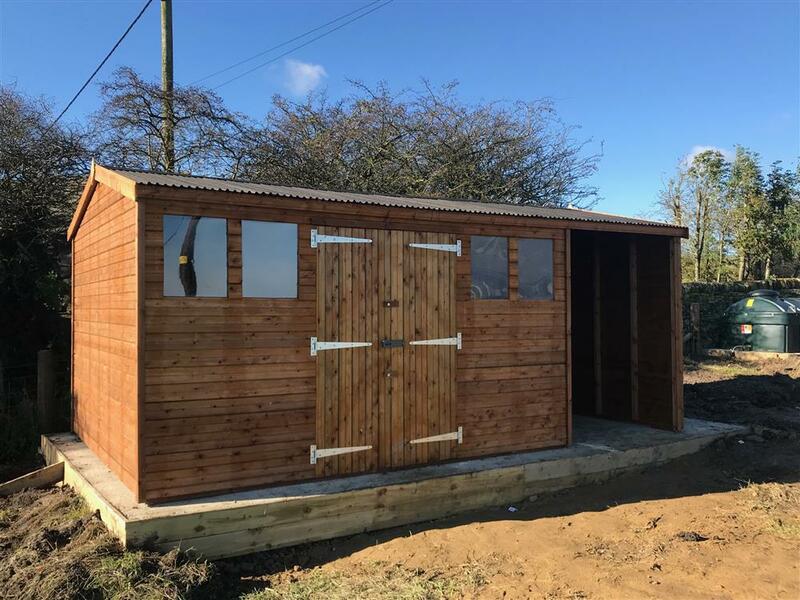 I was also impressed with the follow up e-mails from Easy Shed checking that I was satisfied with the shed, & if any problems to let them know immediately, but with the information in the e-mails I had no need to contact them as they listed everything I might need to know. I would fully recommend Easy Shed for their professionalism and the quality of their products. 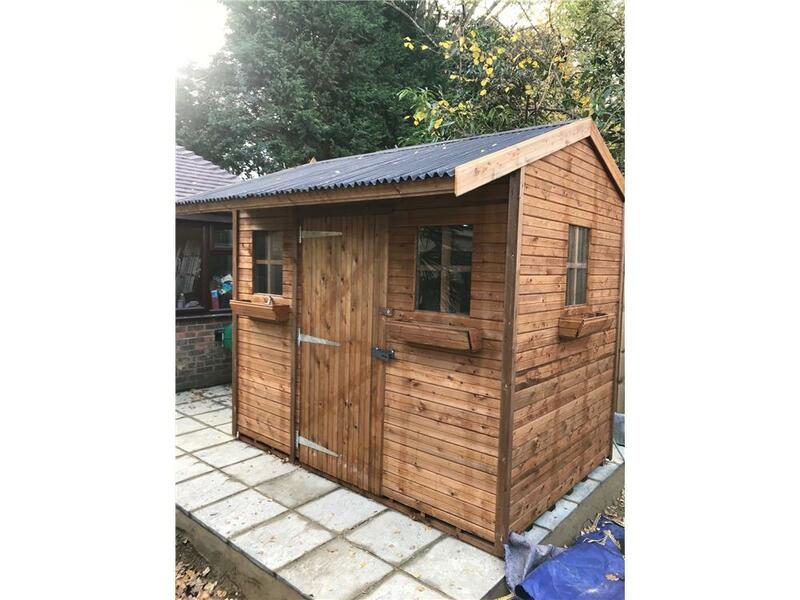 I needed a shed to replace my B+Q one that had rotted away. The quality of the Easy Shed Security Shed is significantly better, the wood is thicker and the frame is much stronger. The floor is also thicker and stronger. The fitters arrived on time and erected the shed very quickly. All rubbish was cleared away. The erected shed was exactly as ordered. It was fitted in July and has survived the wettest winter on record without leaking, which is good news as I use it to store my racing bikes over the winter. The security staple could be better quality. It is already showing signs of rust. 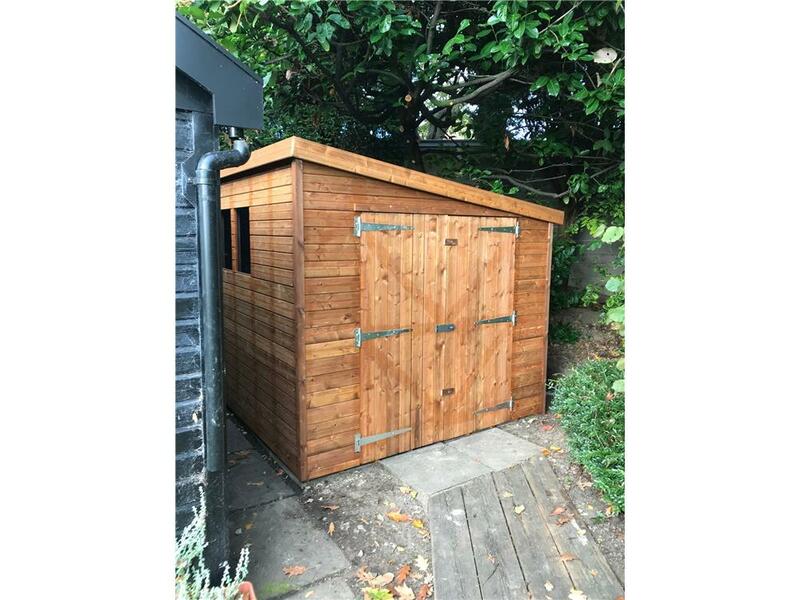 Easy Shed provided an excellent service from start to finish. The website offers a lot of choice and is very easy to use. 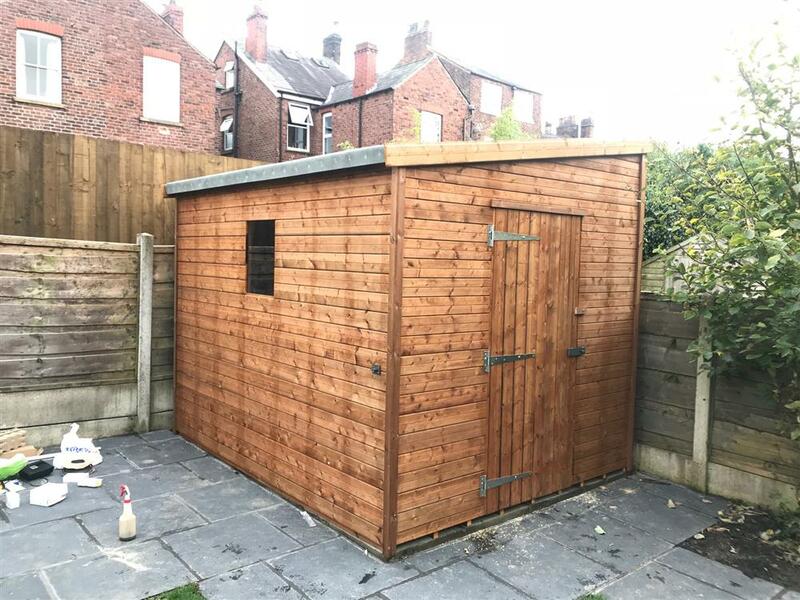 The shed was delivered and installed within 10 days with no problems and was exactly as I had designed it. I was refunded on some parts that were not required. 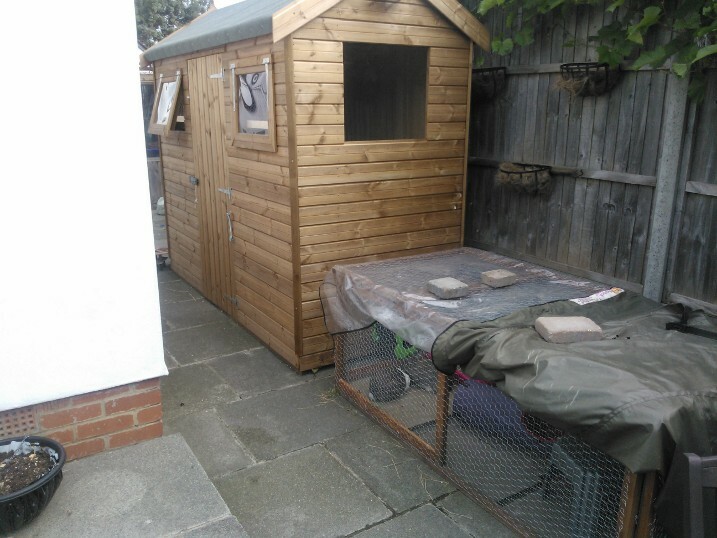 It is now a very secure home for my bunnies with an attached run. It has provided great protection for them in the recent wet weather. I would certainly recommend Easy Shed and use them again myself if I needed a shed. I liked the design, the security, the doors and windows, the tanalisation. Easy shed . Seems fair value compared to alternatives especially considering the time it would have taken me to assemble. Good solid pre-treated shed. . Would buy again! Solid, Easy. My design and size. Great bike shed. I am hoping it is as impressive at security as it looks. I would highly recommend this company. Ordering was super easy - I liked how I could just click on all the options. When it arrived, the team quickly put up, and it looks great! We're very happy with it. We are very pleased with our shed. The quality is excellent and is exactly what we were looking for when we ordered it. 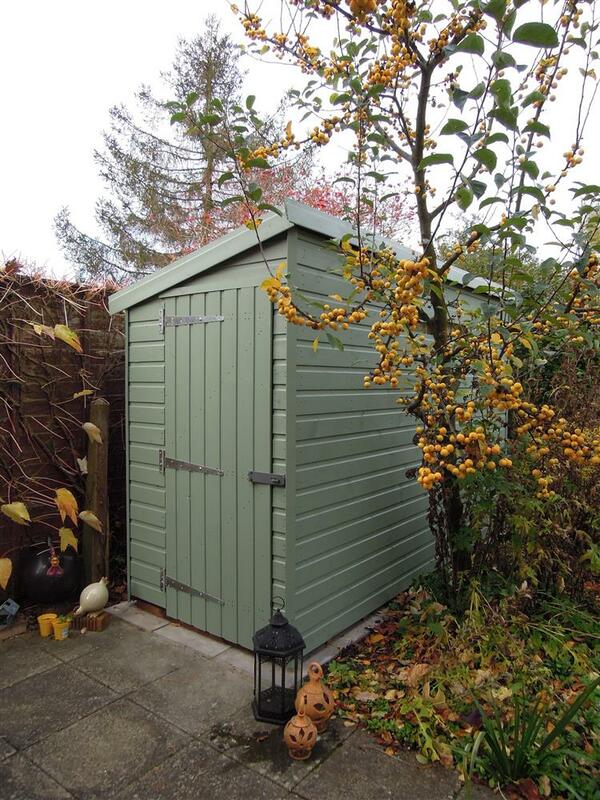 We were particularly pleased to be offered a choice of security fastenings as the shed is in a vulnerable position. We are very pleased and would recommend your company. 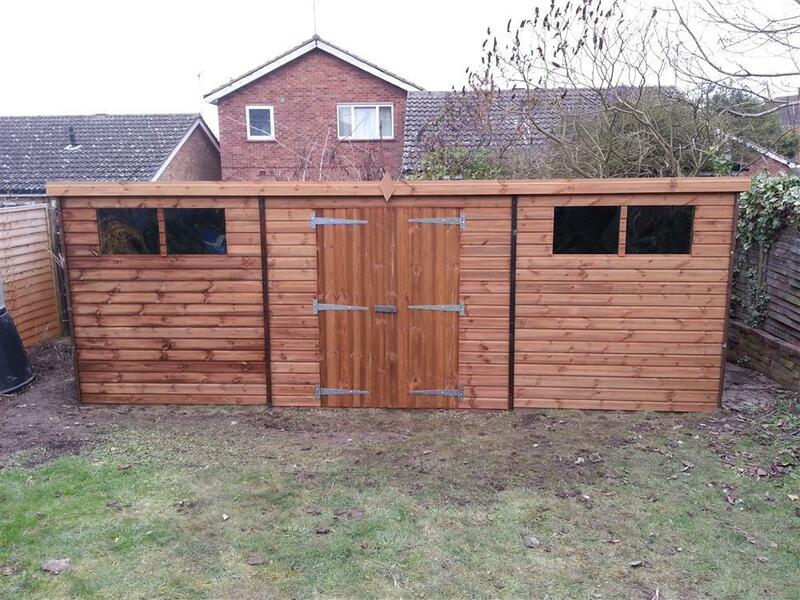 From my initial enquiries through to the shed installation I have been very impressed. The size was constrained by the sloping garden but also had to fit through a single door. The finished shed fits perfectly and was installed faster than I could have imagined. 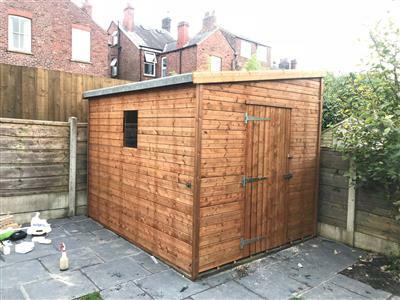 If I had tried to install any shed myself it would have taken much, much longer and the finished product would be a lot less substantial. All in all, I would strongly recommend Beast Sheds to anybody who asked. From start to finish the whole process was quick easy and simple. easyshed fitters came when they said and erected the shed in no time at all! The shed itself is good looking and feels very sturdy indeed. Overall i'm delighted i chose easyshed! Fast delivery, very quickly put up - looks even better now I've painted it ! Will be back for a second one soon !! 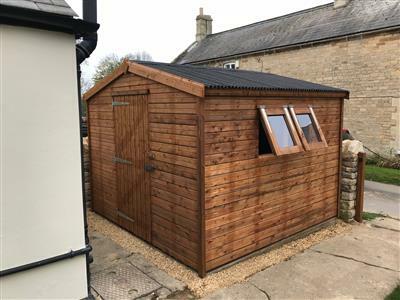 Very pleased with this shed which is of exceptional good quality. Delivery and service was very prompt. Would definitely recommend. Really good website allowed us to select design we wanted and get a price unlike most competitor sites. Shed was delivered when promised and erected very quickly. What a beautiful shed, (if sheds can be beautiful). 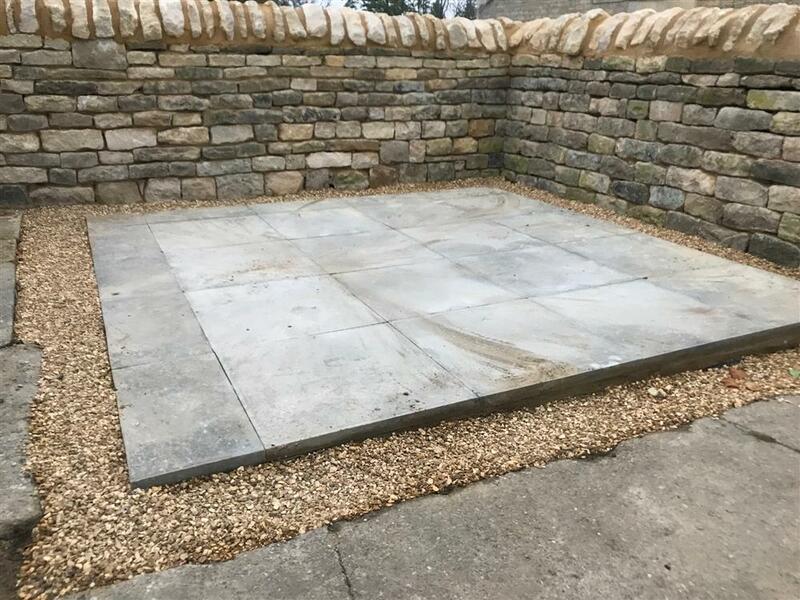 It was delivered at the specified time and erected quickly by two friendly and efficient workers. The finished shed looks secure, and is secure. The build quality is excellent and the fittings are second to none. Since the shed was erected in early March 2012 it seems to have rained continuously, but the interior of the shed has remained perfectly dry and from its construction. This will last for many years to come. Excellent shed for the money. Very prompt delivery & installation. Bearers are also tanalised which is a bonus! Fantastic shed! In another league to similar products ....Great value, Thanks. Arrived earlier than anticipated, fitted within a couple of hours and I was using it that very day! We take you through how we attach the hinges and then attempt to break in using the tools a burglar might use! 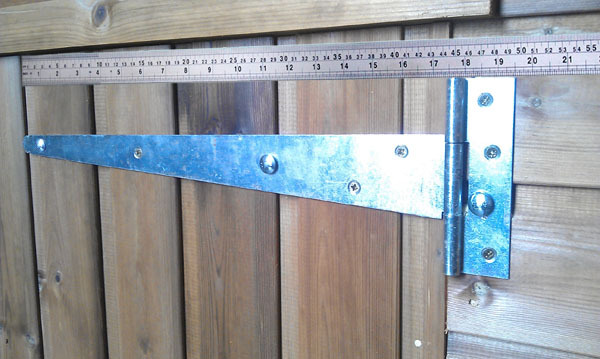 Showing the way we bolt the hinges & lock on for our Security range of sheds. Please note, this is an ex-demo shed, so it may not be in the best condition! The Hasp & Staple lock - comes as standard with the Security sheds. You can see how heavy duty it is & how it is securely bolted & screwed to the shed through the cladding & framework. Once the hasp is closed all the screws & bolts are concealed. Please note: this photo is for product illustration purposes only, its actual fitting may differ. The hinges are bolted through the framework. So even if someone unscrewed the screws, they would still not be able to get the hinge off. Please note: this photo is for product illustration purposes only, its actual fitting may differ.